In August 2018, Ukrainian activist Lyudmyla Kozlovska’s was deported from Poland after her application for permanent residency was rejected. She was also banned from entering the 26 countries of the Schengen Area. Kozlovska runs the Open Dialogue Foundation, a human rights foundation committed to the "protection of human rights, democracy and rule of law in the post-Soviet area". She has run the organisation for nine years without interference from the authorities in Poland. Kozlovska is married to a Polish citizen, Bartosz Kramek, who also works for the foundation. Kozlovska believes that her deportation was linked to her human rights activism and that of her husband. A spokesman for the Polish government had earlier claimed that they had “serious doubts concerning the financing of the Open Dialogue Foundation, which is run by Ludmila Kozlovska”. The situation turned sour, according to Kozlovska, when her husband called for civil disobedience, strikes and anti-government protests on social media in July 2018. Soon after Kramek’s post, the Polish Foreign Ministry had the foundation's finances reviewed, and attempted to get the existing board of directors replaced. 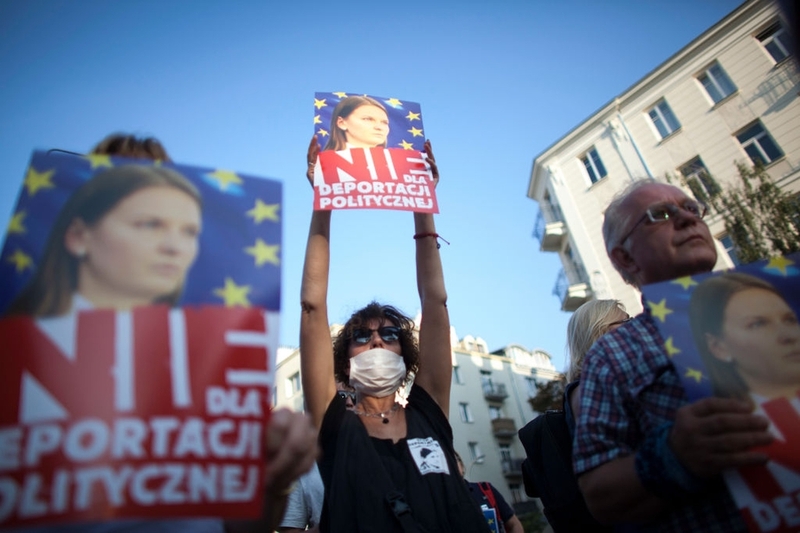 On August 23rd, protestors took to the streets of the Polish capital Warsaw holding photos of Kozlovska and calling for her deportation to be overturned. Poland’s relations with Germany and the EU are becoming increasingly strained. On 17th September 2018, Poland was banned from the European Network of Councils for the Judiciary (ENCJ) over its courts' perceived lack of independence following controversial government reforms. On 24th September, the European Commission referred Poland to the European Court of Justice (ECJ) because of the government's refusal to heed calls by Brussels to halt its interference with the Polish Supreme Court.